Shire Live, City Reach, Urban Life Centre, Victory Life Centre, New Life City, Catch the Fire, Life Point, In Church, Bridge Church, Thrive Community Church, Significance Church, Salt Church, Elevate Church, Edge Church. It could be argued that our name is a wee bit too long. And some of us are not opposed to exploring other options. But if nothing else it states who we are. • Southern Districts: We are located south (south west) of the CBD of Sydney. Churches in the New Testament were identified by locality – “To the church at Corinth”. Whereas many churches today identify themselves by ethnicity, we reflect the multi-ethnic districts where we live. • Reformed: We are Reformed in our Theology. Some people are actually interested in Theology and know what this means. When looking for a church they seek out those compatible with their convictions in order to worship with a good conscience. • Baptist: We are baptistic in our understanding of the New Covenant and the nature of the church. • Church: We are a church (meaning “called out”) We are sinners called out of the world to be the people of God and have assembled ourselves together to form this congregation. We are not a centre or a building or a brand; we are God’s people. It is not a bad thing from time to time to think about who we are corporately. 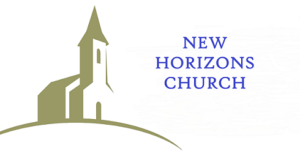 What does it mean to belong to a church; to this church – SDRBC? The name we bear we bear for a reason. Just out of interest, there is no evidence to suggest that un-churched people are more likely to attend a group called “Edge” “Impact” or “Urban Life” any more than one identified as “Reformed Baptist”. The hipsters are probably not as relevant as they think they are. Some may get big numbers to their meetings, but so do meetings held at football grounds and mosques.